While actually playing the game, I thought it would be nice to do a post about something else than beauty, lifestyle and photography. 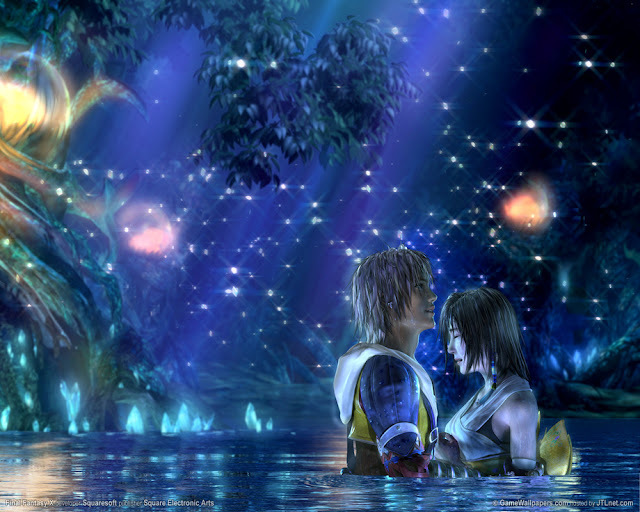 The Playstation2 game I'm so addicted about is Final Fantasy X! Yes a very very old and a very very popular one. When I was a little kid, I always played Playstation2 with my dear brother. But since my brother moved to Shanghai I have never really played Playstation2 since then. But since a week ago I took out our almost ten year old Playstation2 and started to play Final Fantasy X for the first time. I knew this game should be really good since it was so hyped all over the internet en friends.